No change this week. I’ll take it. It’s not a gain. Sorry for the picture quality. It’s a bit blurry and I had to lighten it a little because the original shot was dark. I let myself get derailed slightly last week. I know this. And I own it. I am not perfect and have never claimed to be. But I also know what I need to do to get ‘er done. So this week, I’m redirecting my focus to eating high protein meals and snacks, and being more mindful of what I choose to eat. I think that last week, I allowed myself to have things I would not normally eat because I wasn’t being mindful enough. That small lapse in mindfulness is what led me to no progress being made on the scale, I think. That, plus the fact that I was on my period and retaining water last week didn’t help things any. When I shopped at the grocery store today, I picked up some asparagus and strawberries. I’m going to try and eat a little bit of each of those each day as well. Thankfully, I like both of those things so eating them will not be a problem. 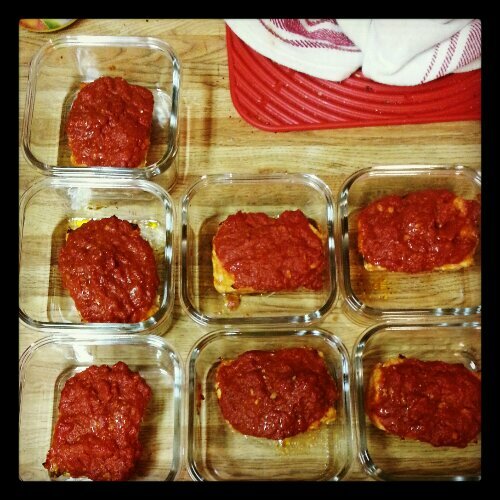 The plan this week is to prepare meals that are high in protein. I’m fixing mini chicken Italian meatloaves in the oven now (if they turn out to be tasty, I’ll post the recipe later), and I’ve got some honey soy marinated boneless skinless chicken thighs waiting to be baked in the oven for meals this week too. Dinner tonight is pecan crusted trout with sauteed pencil asparagus. Snacks this week are cubed turkey and Monterey Jack cheese sticks. I’m planning on spending quality time at the gym on the treadmill so that I can get ready for the 5K I’m doing in a little over a month. On gym days, I’m packing a small bag of popcorn to get in some carbs to fuel my workout, and to add a little fiber. I found these premeasured bags of Angie’s Boom Chicka Pop popcorn which will be good–they are portioned out already so no worrying about how much to serve myself. Also the weather has been pretty good as of late so I may try to do some running/walking at the park near my home while it is nice out. Thankfully it is getting dark later and later (hooray, spring is coming!) so I can do some outside exercise when I get home from school. 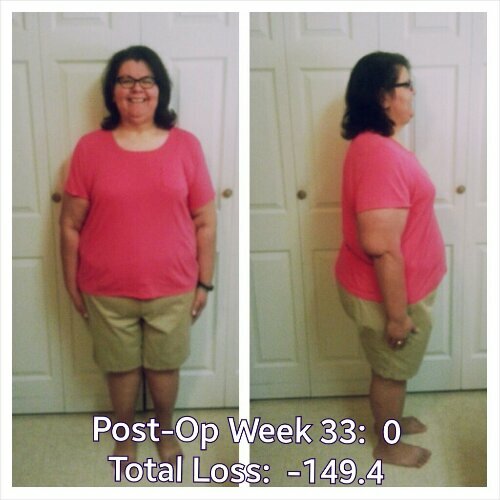 I’m 7.6 pounds from my birthday goal, and I’m 0.6 pounds away from a total loss of 150 pounds. I’d like to hit that milestone this week if I can. And I think I can. If they are tasty, I’ll post the recipe I created to make them tomorrow night. Today’s eating was pretty good. I have made it a goal of mine to eat seafood at least 3 times a week, and today I ate it twice! Both fish dishes I ate were trout, and both were tasty. I also got in some veggies with my chicken tortilla soup, and some asparagus with my dinner tonight. Calories totaled 902, protein was 102 grams, carbs were 29 grams, and fat was 44 grams. 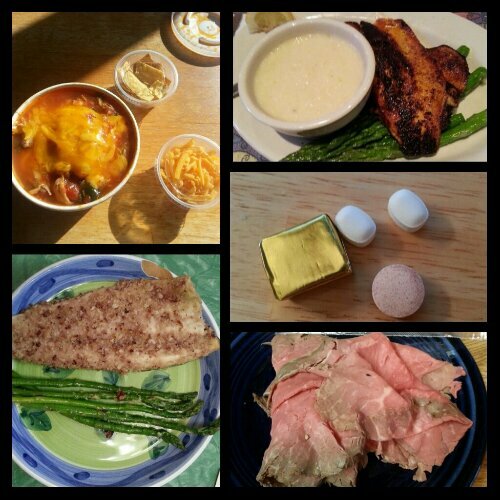 Today’s food choices, from upper right: leftover blackened rainbow trout with cheese grits; multivitamin and calcium supplements x2, iron supplement; slice of house roasted roast beef from Central Market; pecan crusted trout and sauteed pencil asparagus; chicken tortilla soup, cheddar cheese, and crumbled up tortilla chip. Not shown: quarter slice of bread. This entry was posted in challenges, cooking, eating, exercise, la guerra, oh behave!, planning, post-op, progreso, the sleeve, vsg, weight loss surgery and tagged accountability, challenges, daily bites, eating, eating mindfully, exercise, I'm not perfect, la guerra, meal planning, mindfulness, oh behave!, planning for success, post-op eating, post-op life, progreso, progress report, she's got skillz, sleeve gastrectomy, stupid hormones, the body is a funny thing, VSG, vsg realness, WLS. Bookmark the permalink.